Using the HubSpot CRM tool, you have access to many different ways to track and manage your contact list. When you know exactly where your contact is in the sales and marketing process or what actions they have taken in the past, you will be able to deliver the appropriate content or messages to the correct contact. For example, if a contact has opened an email and downloaded a piece of content, you can help them progress through their buyer’s journey with additional content that gives them more specific information. However, if you are not tracking their actions and where they are in your sales and marketing process, you may either send them communication that is poorly timed or let them slip away because you missed a follow up window. 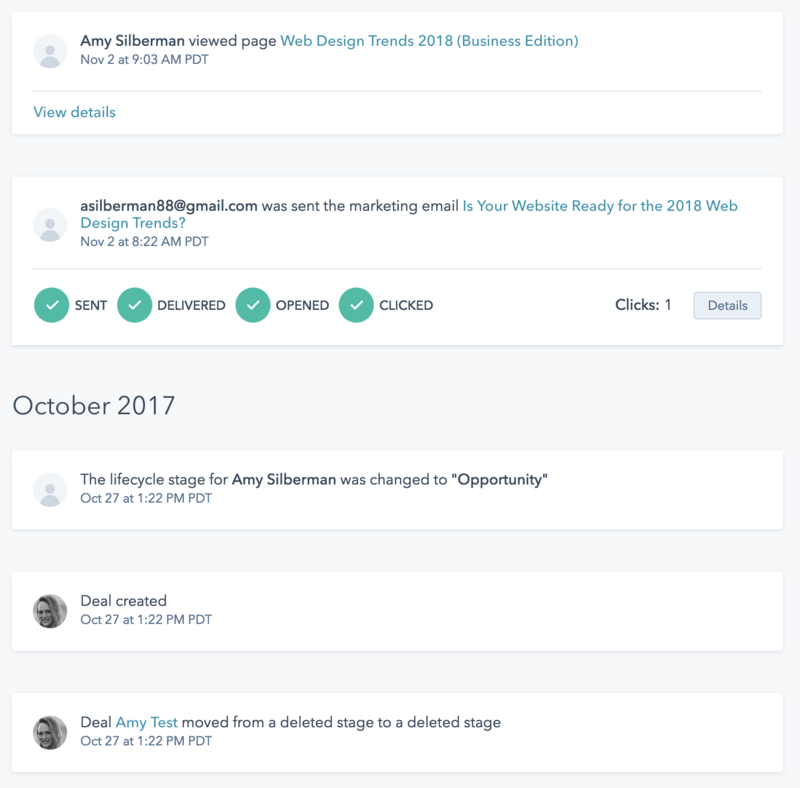 HubSpot’s tools and features make it easy for you to keep track of all your contacts, manage where they are in your sales and marketing processes, and let you view what the next appropriate follow up action should be. Instead of having just one list of all your contacts, HubSpot has a record for each individual contact. This contact record allows you to see your contact’s history of interactions with your company - from the day you first connected with them to the most recent interaction they’ve had with you. All Associated Deals, Workflows, Companies, etc. 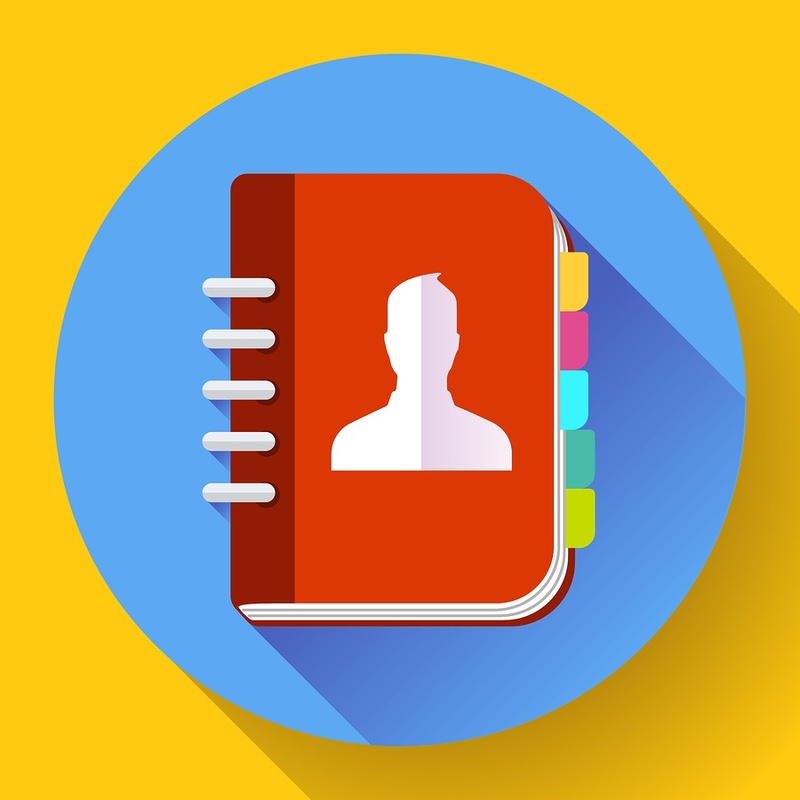 Each individual contact record will give you an overview of who your contact has interacted with, what content they have viewed, where they are in the sales and marketing process, and more. By having this information at a glance for each individual contact, you will be able to personalize and tailor their experience with your company to their exact journey. Lead Statuses and Customer Lifecycle stages are contact properties that you can set to help you determine exactly where your contact is in their customer journey. As your lead progresses through your different sales and marketing stages, you need to be able to keep track of where they are. This is where a contact’s lead status and customer lifecycle stage comes into play. After leads take certain actions, such as submitting a form, visiting a web page, or downloading a piece of content, you can change their lifecycle stage or lead status to reflect where they are in your sales process. These examples and more show how each lead status or lifecycle stage can tell you exactly what you need to know about your contact. For example, if your contact is at the open lead status or the lead lifecycle stage, you know that they are interested and could need follow up to close the sale. You can also initiate other actions based on your customer’s lead status or lifecycle stage. For example, once a contact becomes an open lead, you can kick off a workflow to send them a specific case study or ebook that might not apply if they are a new lead. You could also have a campaign requesting referrals from contacts who are either at the client lead status or customer lifecycle stage. By knowing exactly where your contacts are in your sales and marketing process, you will be able to determine the appropriate actions to take for each individual contact. Deals and Deal Stages are another feature that allows you to track where your contact is in your sales process and learn more about the next steps to take, whether it be to close a contact, nurture a lead, or thank or send additional information to a current customer. Deals allow you to map out your entire sales process from start to finish and create a stage for each leg of the journey. You can then enter your contacts into your deal and progress their status at the same time they are progressing through your sales process. Deals and deal stages give you an entire picture of where each individual contact is so you never lose track of the next steps you need to take during your sales process. For example, if you need to send a form or basic contract out to contacts when they reach a certain stage in the deals, you can set a process to make this happen. Once a client reached the ‘Contract Sent’ stage in your deal, their contact property will update. This can then kick off a workflow that sends out an email with the contract attached. Using Deals and Deal Stages allows you and your team to have a clear picture of your sales process and where each individual contact falls in the process. Once you have the basics of using your HubSpot list of contacts, you can use it in endless ways to track your customers. We’ve discussed before about using a contact’s record to improve communication but utilizing the tracking aspects of the tool can take improve your business even more. By keeping a contact’s record and properties up to date, you have knowledge about each and every contact in the palm of your hand. You never have to spend time asking a sales person or in office team member where a contract is or what the status of a certain lead looks like. You can quickly glance at a contact record and know exactly where they are in your sales process or deal stage, you will be able to see all communication with that particular contact, and you will know what type of content they have engaged with in the past. This will help you learn and decide the best content to send them and other like them in the future. This also knowledge allows you to quickly sort, view and manage your contacts by many different filters. You can view contacts by lead status, sales owner, date created, and more. This will help you to segment your contact list for actions like emails or other targeted content. Your contact list contains more information than just the names and email addresses of your leads and customers. When you can know, understand, and follow your contacts through your entire sales and marketing process, you can provide them with a better overall experience. By using the HubSpot tool to manage your contact list, you will be able to learn valuable information about your contacts that will help improve not only your communication with them, but also your sales and marketing processes as a whole. Are you interested in using HubSpot to track and manage your customer list? Contact us for a free consultation to learn more!